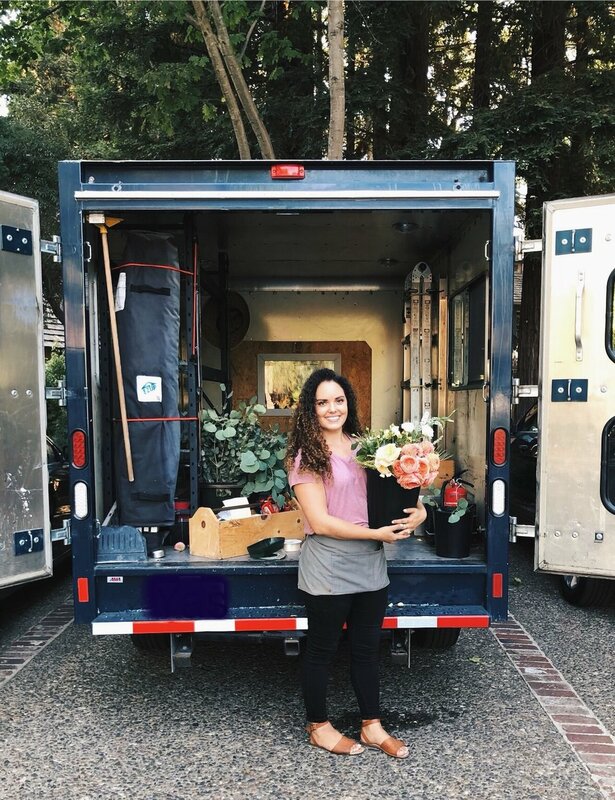 Kaylyn began her first floral design job in a family owned flower shop out of a garage. From there she knew she wanted to further her career as a floral designer and started freelancing with other local florists. She then created and founded Willow & Magnolia in 2016. Since this time she has learned from renouned florists such as Michelle Lywood and Fionna Floral. One of the things Kaylyn enjoys the most is the floral community and kindness she has found in other floral designers. She strives to create arrangements that are organic in shape and romantic in design. Creating and inspired by her surroundings and her love of nature, she feels fortunate to have found a calling that brings out such passion in her. She is facinated by simple texture, natural color and organic design. Her wild, soft, romantic style is a small example of her personality. Kaylyn lives and works in Morgan Hill, Ca with her husband, Todd and their french bulldog, Bowie.